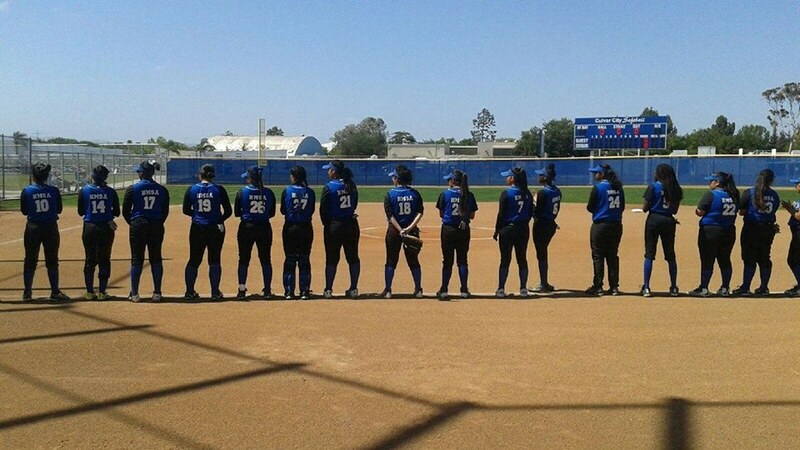 The lady A's lining up before a game (Photo Source: Mr. Dura). On April 11, 2018, our Lady A’s took on against New Roads. The game was an away game, and the ladies were ready for another victory. Clarissa Lockett was the starting pitcher in Wednesday’s game. She had 13 strikeouts. In the first inning, HMSA scored 4 runs and New Roads scored zero runs. They had an amazing way to start the game with an advantage. 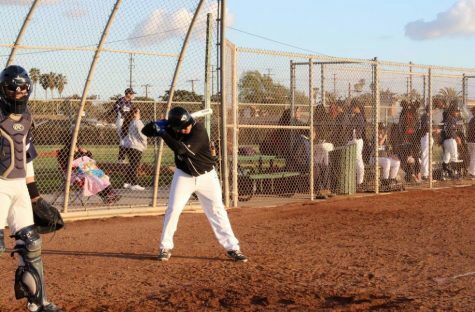 In the second inning, HMSA made 2 runs and kept the lead throughout the third inning, in which they made 5 more runs. By the fourth inning, HMSA made 3 more runs. Our Lady A’s had a huge advantage by this time and they maintained the lead all throughout the game. 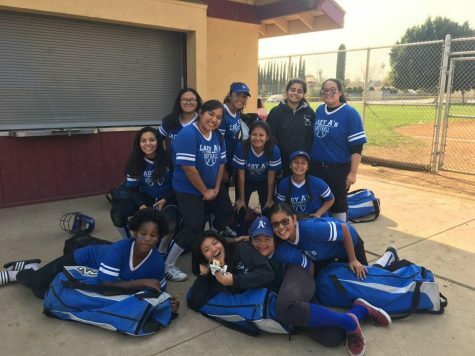 The many different players who contributed in making runs and taking the lead included: Hazel A. and Tercero, who each made 2 runs; K. Ko, and Gomez, who each made 3 runs; D. Lockett, who made 1 run; and C. Lockett, who made 2 more runs. The Aviators left with a 14-0 win, showing their team was the dominant team in this game. 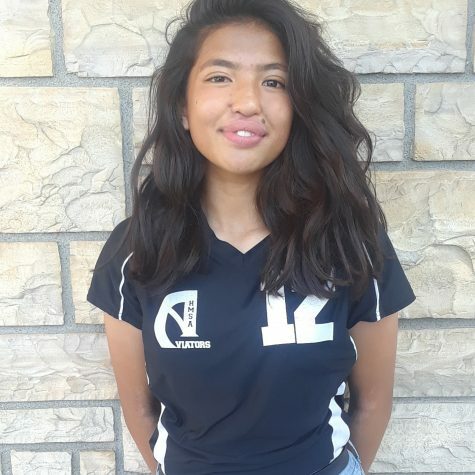 Madison S. says, “This is my first year playing and this is a team I love. The energy and love these girls have is wonderful. 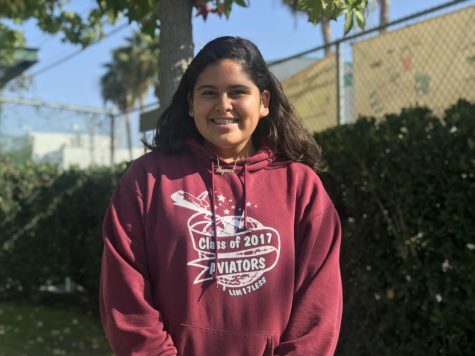 I am just a freshman in a softball team and I love it; I expect to be here my 4 years in HMSA.” Madison enjoys every game and practice with the team and encourages all the ladies at HMSA to join their Lady A’s family. 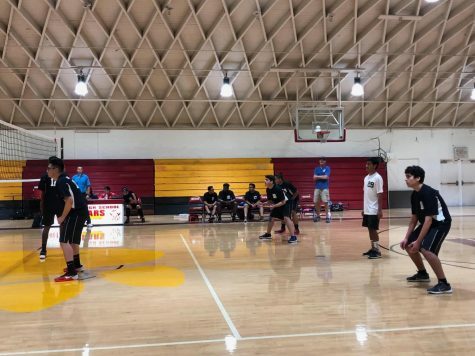 Madison is not the only one who sees the team as a family, but the Lady A’s as a team have bonded by practicing, battling in games, and going to eat dinner together. Our Lady A’s are now ranked number 1!!! They are the league leaders and are really excited for their chances in going to play offs. Now, the whole school is waiting for our Lady A’s to maintain their top spot position for their division. The Lady A’s are more than determined to work hard to continue their winning streak. Everyone is waiting to see how far the Lady A’s will get and are confident that this season, our HMSA pride will be stronger than ever. Lady A’s fever, catch it! Gooooooooooooooooo… A’s YOU KNOW!